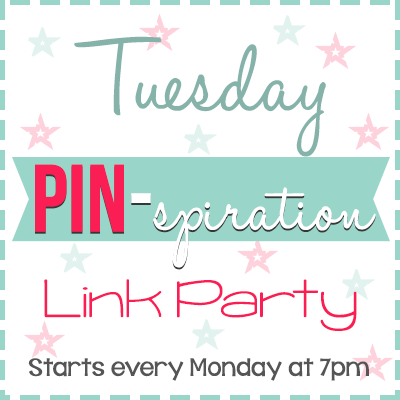 The Linky Ladies – Community Link Party is live! Congratulations to the “Featured Five Club”, those who had the most clicks from last week! Click on the project name to take you to their project and leave them a comment on their awesome work! Share the community spirit and support your fellow crafters. Don’t forget to Pin it too. It’s a Fiber Arts party and you’re invited! 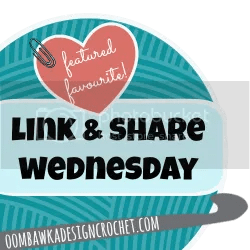 Join our weekly “Community Link Party”, co-hosted by The Linky Ladies – Crystalized Designs, Pattern Paradise, The Hooked Haberdasher and The Purple Poncho. Your entries will appear on all four of our websites each week by linking up on any one of our blogs. Every Tuesday, we’ll share the “Featured Five Club” on our social media sites. You’ll get four times the exposure linked up to four websites, four Pinterest boards, and four designers’ social media. Link with us and share your projects for all to admire. As an added bonus, add your Pinterest link at the very bottom of the post too. 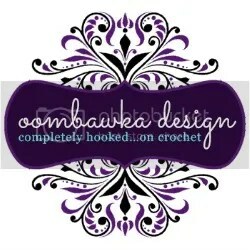 Project must be your own fiber arts related work: crochet, knitting, embroidery, tatting, cross stitch, yarn dying, etc. OR anything you’ve made to create or embellish your fiber arts project: ribbon roses, hooks and needles, beaded handles, polymer clay, etc. Link directly to your blog post, not to your blog home page. 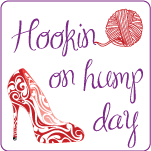 Accepted sites are: Ravelry, Craftsy, Pinterest, Instagram or Etsy. No giveaways, promotions, sponsored posts or reviews. Links will be removed if they are inappropriate or do not follow these rules. You may post up to two links but not repeat the same link within the month. Adding your link to this party gives us permission to share your posts and pictures via social media, on our websites, blogs, and future Link Party posts and collages. Follow your hostesses by subscribing to our blogs and following us on social media. We’ll follow you back, just leave us a note you’re from this party with a link to your social media page. 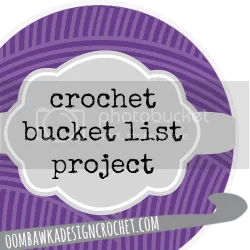 Support your fellow crafters and share the love — click on their projects, add them to your favorites, leave a comment on their blog or share them on your social Media. Have FUN and be proud of your creations! 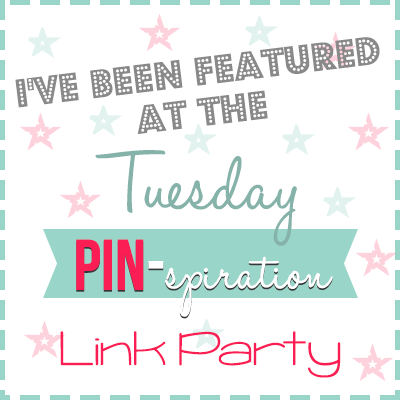 Grab your Link Party Button and proudly display it on your website! Time to Party (add your link here)! Time to Pin (add your Pinterest here)! 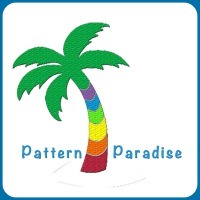 Posted on July 13, 2015, in Linky Ladies Party and tagged california, crochet, crochet link party, cross stitch link party, crystalized designs, drought, embroidery link party, fiber arts link party, folsom california, folsom lake, Furls, furls crochet candy shop hook, knitting, link party, linky ladies, pattern paradise, pinterest, polymer clay, rain, tatting link party, the hooked haberdasher, the purple poncho, wendy bickford, yarn dying link party. Bookmark the permalink. Leave a comment.